In today’s online business environment, your sensitive data may be at risk from third parties and insiders with access to your network. Unless you understand where you’re vulnerable, you can’t make smart security investments, including those that go beyond IT hardware and software. Our Managed Security Services team can remove some of the burden around cybersecurity and risk management decisions that affect your company’s operation and reputation. Recognized as a Top 10 Managed Security Service Provider, we help you mitigate risks efficiently without having to hire additional staff or train existing employees. Today’s business solutions depend on the use of third parties to power operations, but these connected vendors also double as a back door into your network. It only takes one vendor with poor security to allow malicious actors free reign into your systems. 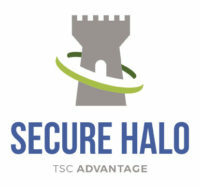 Our Secure Halo™ platform streamlines assessments, and simplifies aggregation, scoring, and third-party updates. With easily viewable results, you can make faster and better-informed decisions. Cybercriminals target small- and mid-sized businesses, searching for exploitable vulnerabilities that aren’t addressed due to staffing or budget constraints. For companies with limited resources, CISO-As-a-Service is a cost-effective alternative that provides the direction and execution of a CISO without the full-time expense. Our security expert supports your team to create a security strategy that aligns with your risk appetite and business objectives. Then we put the strategy in place, providing as much guidance and hands-on management as you need.